Attach this chainring to your ZIS-MTB crankarm for use with 1x11 components. This model has 6mm offset which keeps the chainline further in towards the frame. May create clearance issues between chainring and chainstay depending on your bike. These rings fit SRAM GXP-spindled cranks and Zinn ZIS pro MTB cranks. 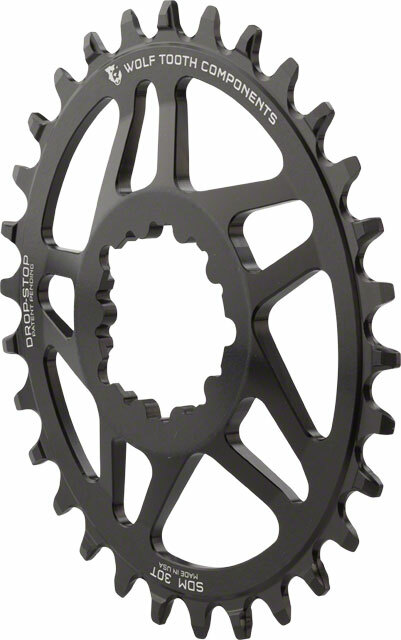 If you're looking for a ring that helps on punchy singletrack and hills, give one of these elliptical chainrings a try. Its proprietary design has an ovality of 10% and a timing of 112 degrees after top dead center which provide the beneifits of an oval ring without the traditional downsides of oval rings. ⋅ Use an 11-speed or 10-speed chain only.